In a grant program totaling over $20 million, the California Energy Commission is supporting clean green transportation projects from Better Place, Tesla Motors, Zero Motorcycles and other companies. The California Energy Commission announced on Wednesday grants supporting projects at Tesla Motors, Zero Motorcycles, and several other organizations meant to move California closer to a clean transportation system. The projects will either support electric vehicle manufacturing, or deployment of clean energy vehicles in California. Tesla Motors is being awarded $10 million, with Tesla kicking in another $50 million of matching funds, to support manufacturing of the Tesla Model X. 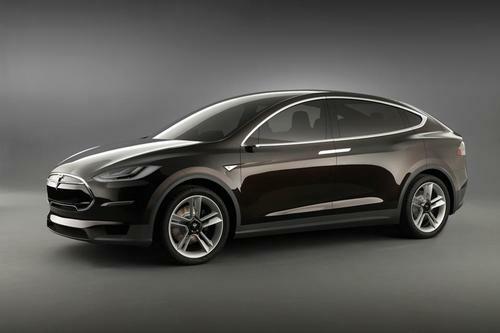 That vehicle is Tesla's all electric SUV, built on the same platform as the Tesla Model S, that is slated to go into production in 2013. The CEC grant will go towards purchasing equipment required for Model X manufacturing, and the project is expected to create more than 500 new manufacturing jobs in California. These jobs of course will be at Tesla's plant in Fremont, CA. The Bay Area Air Quality Management District will receive $3 million to support the long-delayed eTaxi program in the San Francisco Bay Area. That program is meant to be a demonstration of Better Place's fast battery swapping system as used in a taxicab. Two battery switching stations will be installed at San Francisco International Airport, and at San Jose International Airport. The program had been awarded other funds in the past, but no money has yet been spent. The project is expected to launch in 2013. Better Place has run taxicab demonstration projects before, most famously in Tokyo. Taxi service is especially appropriate for fast battery swapping, because taxi's are meant to quickly get back on the road. Zero Motorcycles is being awarded $1,815,123 to expand the company's electric motorcycle manufacturing capacity. Zero manufactures electric motorcycles at its headquarters in Scotts Valley, CA, near Santa Cruz. They brought manufacturing home to their headquarters a couple years ago so that engineering and manufacturing can work closely together. The goal is to quadruple its motorcycle production capacity and develop new prototype motorcycles. Earlier this month Zero unveiled the specifications for the 2013 model lineup, including a 95 miles/hr top speed and up to 126 miles riding range. Quallion will receive $2,230,595 to expand manufacturing capacity for advanced battery management system (BMS) electronics. Quallion supplies battery management systems to OEM's, and the company's press releases indicate a customer base focused on electric large trucks. BMS's are electrical subsystems which monitor cell voltages, ensure cells in the battery pack are evenly charged, and ensure cell voltages do not go too high or too low. Additional projects received grants for compressed natural gas (CNG) vehicles, and buy-down incentives for alternatively fueled fleet vehicles. Musk was right! That is one way to become cash flow positive in November! Good scoop.